What a journey it has been since October 2008 to put this workshop in place. It was not an easy task to get some media attention and I have to say that persistence pays off in the long run. There is so much complaining and blaming and very few people are willing to create a change for the better. I am very proud and happy that we made it happen and I hope our workshop will benefit as many people as possible. Are you fearful and stuck, looking for guidance? Are you ready to be pro-active and make a plan for your life? Do you need help identifying and setting your goals? Do you want a confidence boost and create more self-awareness? Do you know somebody who lost his or her job recently? 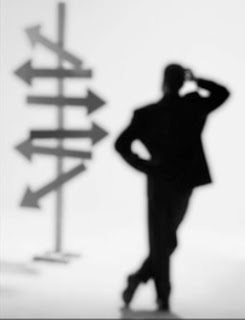 Do you want to move forward and find the right job for YOU? Are you willing to communicate this message to employees who are affected? We provide a supportive and positive learning environment and empower people to achieve their full potential and realize their dreams. It is all about taking action and taking on 100 % responsibility for your life and for your results!